Our classic Pop-Tarts flavor. Sweet frosting decorated with rainbow sprinkles and filled with strawberry-flavored goodness. No wonder it's so popular. 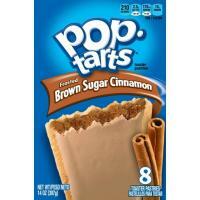 Kellogg's Pop-Tarts toaster pastries are delicious from the box or warmed in the toaster. Just learning coupons, cancer patient here, can't work, this is a wonderful site. Helps a lot.